Amaco Amaco White 10 lb. 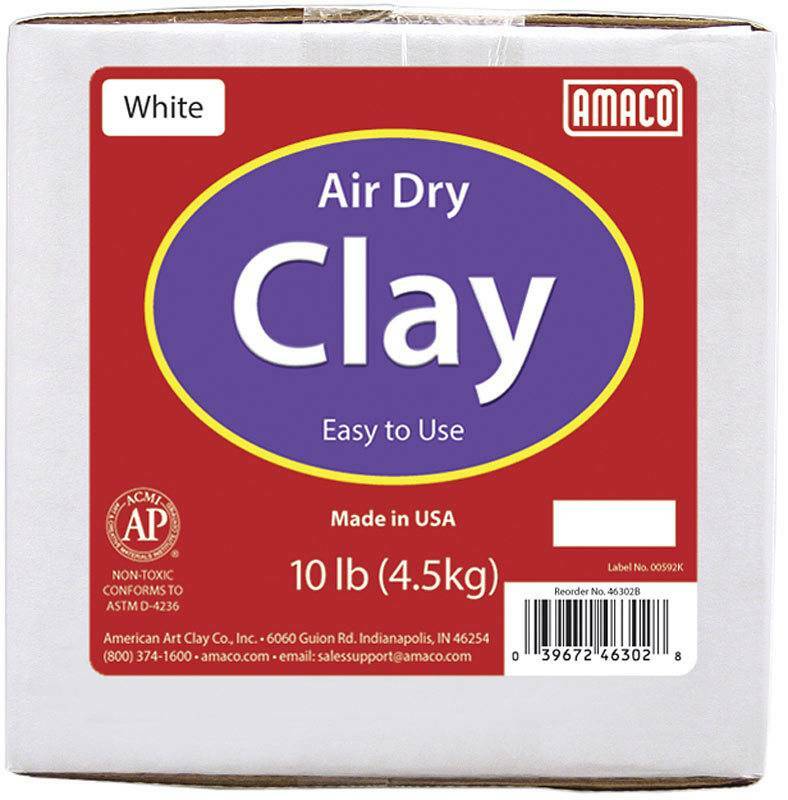 Air Dry Clay 10 lb. Home / Amaco White 10 lb. 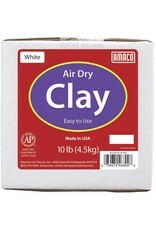 Air Dry Clay 10 lb. Moist clays ready to use for sculpture, hand modeling or throwing on a potter's wheel. Finished pieces should be allowed to air dry slowly and evenly on all sides. Air dry clay is fragile and should be coated with Shellac to give it some strength and seal it from moisture. To make hard and permanent, bisque fire in a kiln to *Cone 04* before decorating.